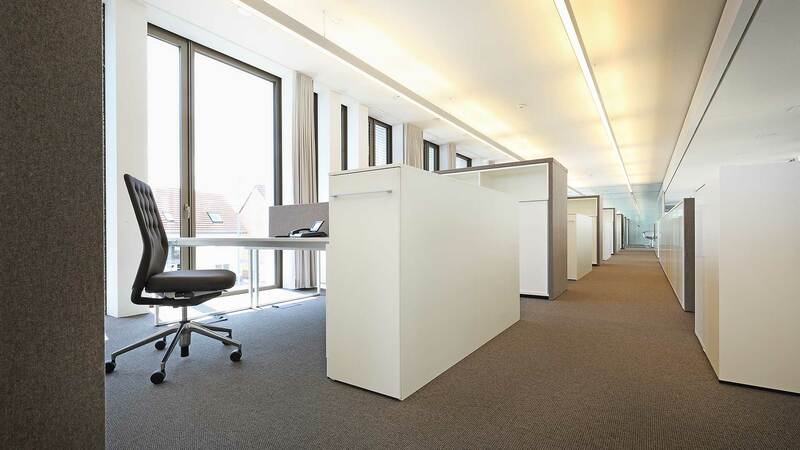 There are good reasons for choosing pull-out cabinets for planning of offices. 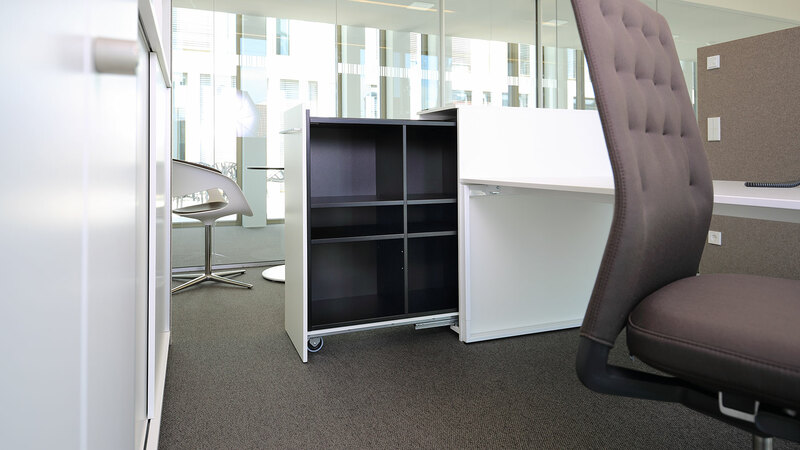 They do not only provide storage space and additional working surfaces in immediate reach, but they create more private zones as well: They demarcate the individual workplaces and serve as sight protection which is particularly advantageous for open-plan and group offices. 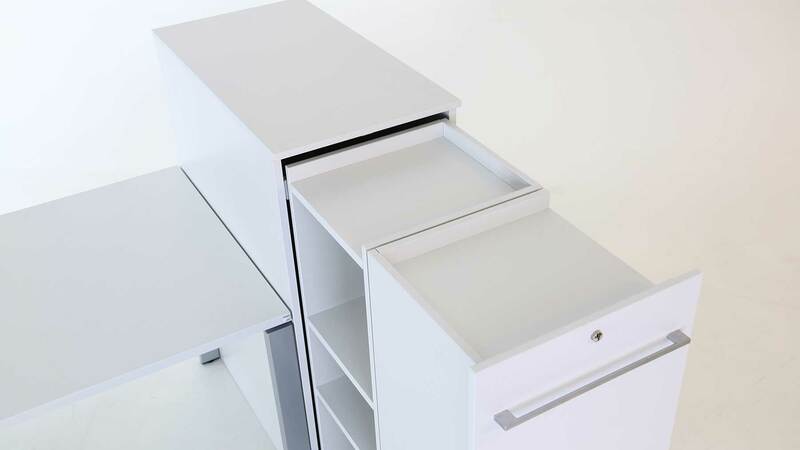 A characteristic feature of our pull-out cabinets is the sophisticated design of their inner and outer carcass: Inner and outer carcasses are independent units which are interconnected by a simple furniture fitting. The inner carcass can be opened on either the left or on the right. 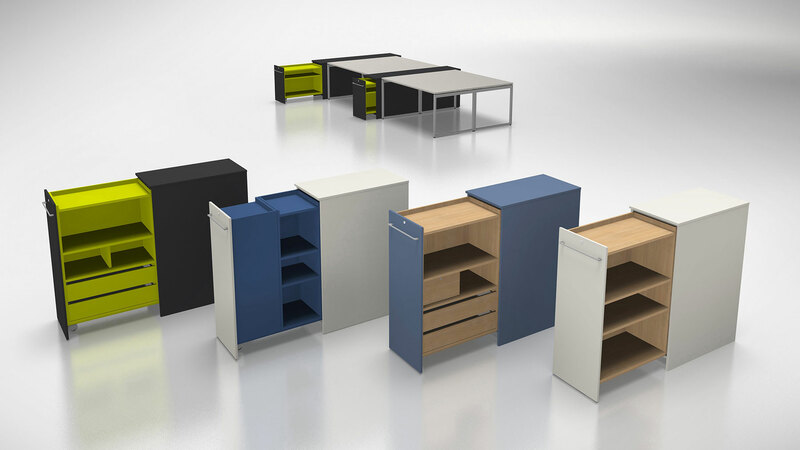 With pull-out cabinets manufactured by gumpo, the typical problem of a left or right version therefore does no longer exist. 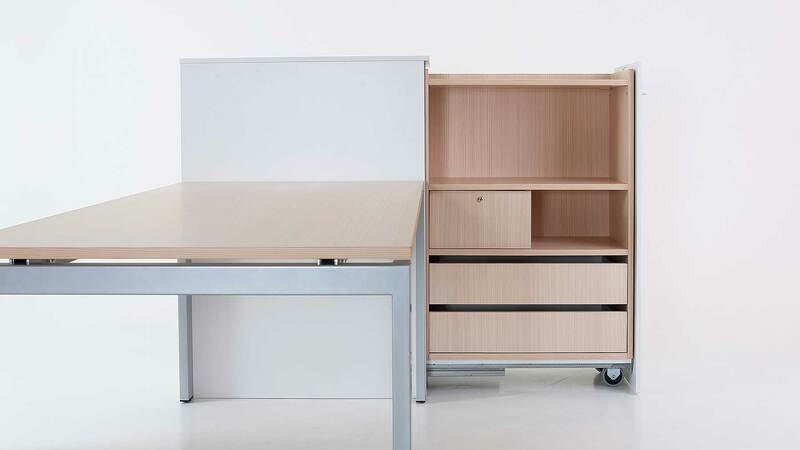 Additionally it is possible to arrange two inside carcasses opposite to each other, which means that the pull-out cabinet is accessible both from the left and from the right side. 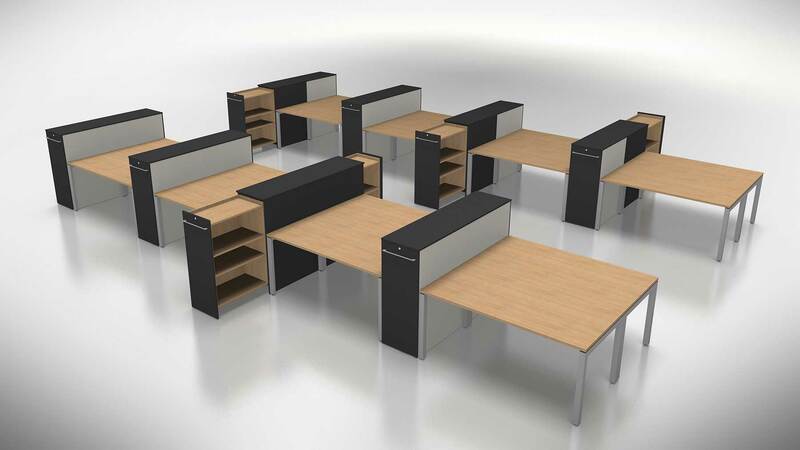 Existing configurations may thus be modified at a later stage without having to replace also the outer carcass. 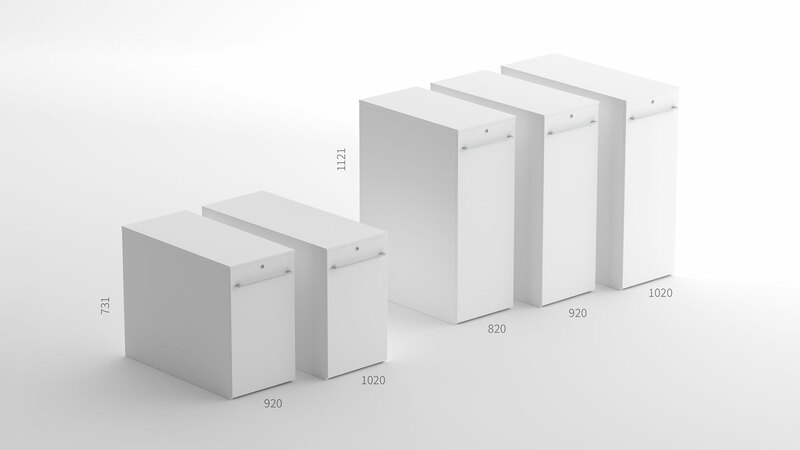 gumpo offers pull-out cabinets in two heights and in up to three depths as standard. 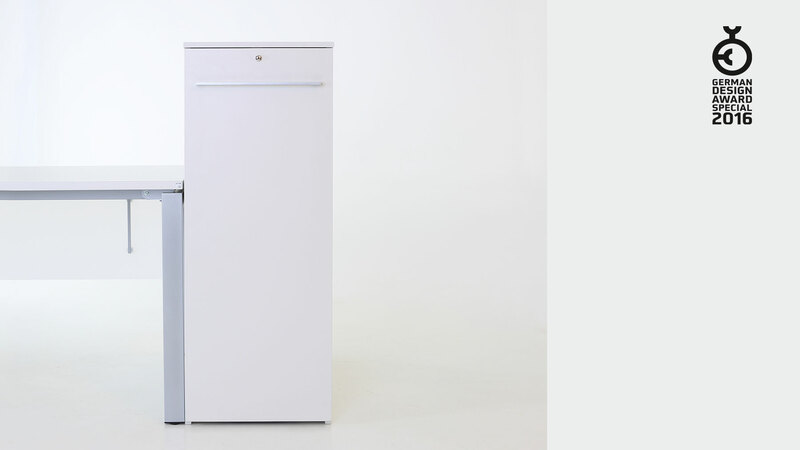 The outside carcass is optionally available with a 19 or 25 mm cover plate (standard: 16 mm). 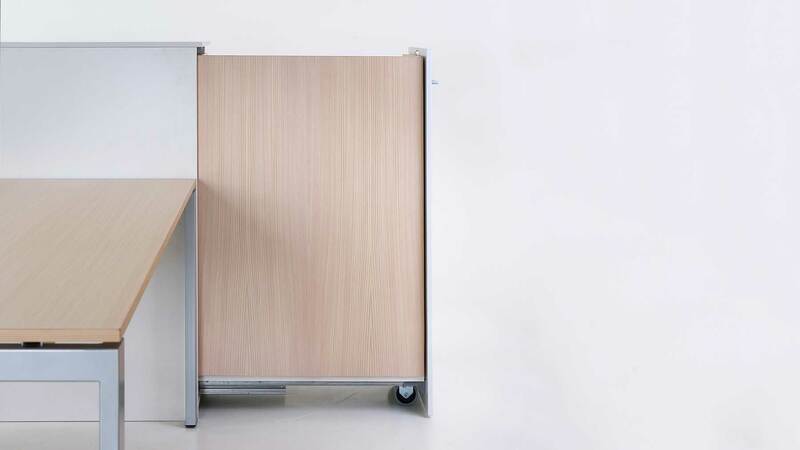 The fitted rear panel creates a homogeneous surface, here with light larch veneer. 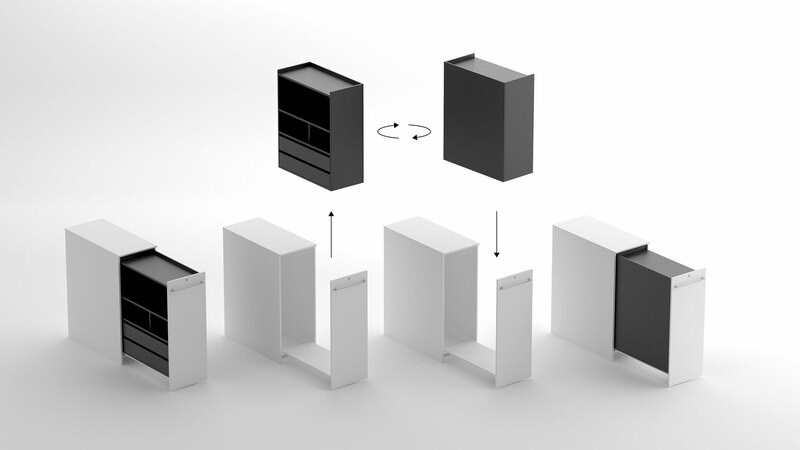 It is possible to arrange two inside carcasses opposite to each other, which means that the pull-out cabinet is accessible both from the left and from the right side.